The BoBunny Blog: Toy Box Gift Bag! What a fun collection Toy Box is! 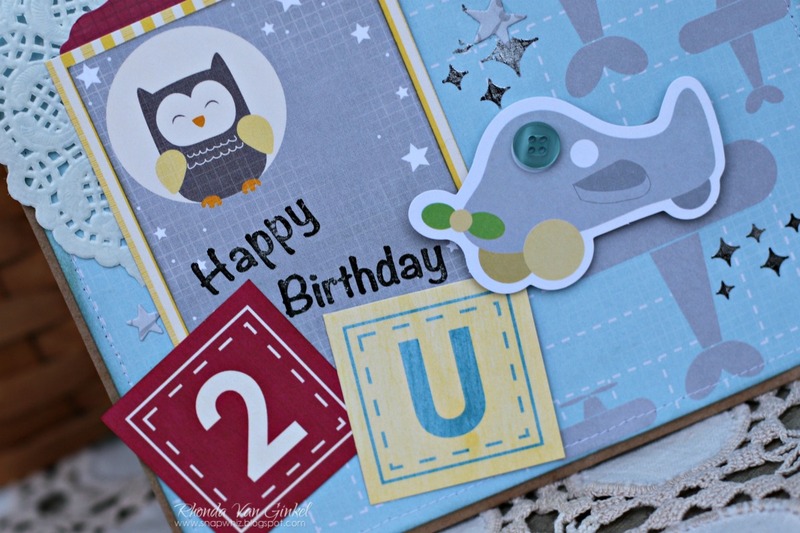 It is perfect for creating fun party themed items for children. I don't know about you, but I really like to have gift packaging ready and on hand at our home. 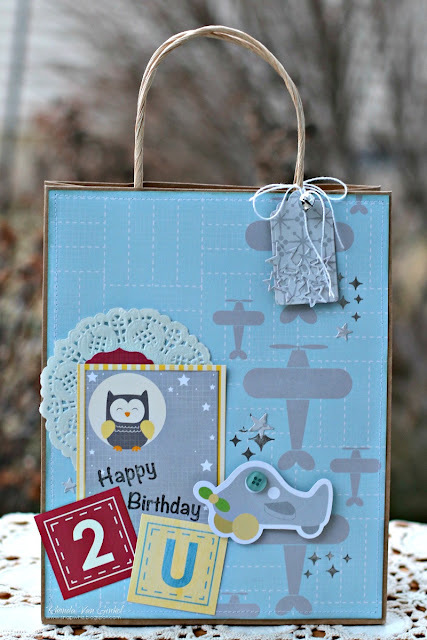 One thing that I like to do as a crafter is purchase plain gift bags in kraft or white paper so I can personalize. We also save bags and re-purpose them too. For my project today I selected the "Pretend" pattered paper with the airplanes for my base layer. I trimmed the paper to size, then stitched around it with my sewing machine. Then I applied a few of our Silver Foil Transfer randomly. Next, I cut a Nested Terrific Tag from the Recess paper in the middle size, then using the same papers, cut a Twinkle Twinkle from it. I trimmed a section, then adhered to the tag as an accent. 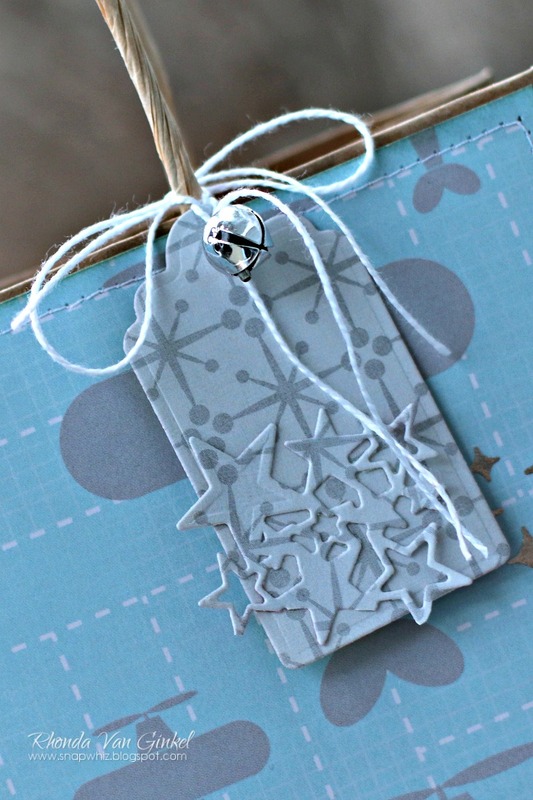 I added a small sliver bell and tied the tag with some plain white string to the bag handle. I found the sweet little owl journaling card on the Blocks paper and applied the Sentiments Silver Foil Transfer to it. Next, it was layered with the Cheerful yellow stripe. I tucked the red Noteworthy tab behind the top, then adhered a small doily to the back. I cut out the blocks from the Imagine paper. Attach that to the bag, then add the small airplane with foam adhesive and place the button on the window. One of the many things that I love about crafting is being able to personalize a gift in a way that makes it unique or special.